New casinos - than they are dangerous? Are New Casinos Online Risky to Play at? New casinos online are taking off almost every day. They usually launch astonishing advertising campaigns and are actively discussed by gamblers at special forums. This attracts perspective customers who can`t wait to try their luck in the new casino. However, you shouldn`t be too hasty. 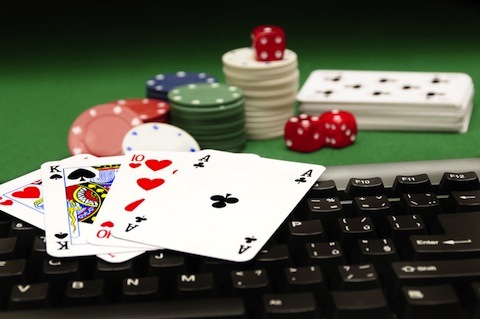 Why gamblers are attracted to new casinos online? Strange as it may seem, novelty of the casino plays a crucial role. The new casino can hardly offer some brand new games. However, it can offer tempting ambience with original colors and graphics. Not affecting the results of playing, these details distract players. So, this con argument is worth thinking over before signing up at the new casino. The major advantage provided by casino start-ups is generous bonuses and promotions. Still, don`t get blinded by these tricks. Free tournaments with impressive prize pools are an enticing opportunity as well. If these competitions are really free and don`t require deposits from players, they can be considered a considerable advantage. Such tournaments mean that a new casino is interested in new customers and in future will also welcome them with other beneficial offers. You should be very careful before opening an account at the new casino. Find out how solid this establishment is. The casino`s integrity and transparency are proved by the following facts – full information is available on the casino`s founders and authorizing documents; gaming software is powered by a well-known manufacturer; customer support works flawlessly; the casino was granted a certificate by a reputable auditing authority. However, even if the casino meets all the above mentioned requirements, don`t be hasty. Wait for some time, read gamblers` comments and reviews. The true nature of the online casino may turn out to be different. Membership in too many online casinos is another problem. Players make deposits at several casinos at the same time, which makes it hard for them to watch their bankroll. Thus, you may lose all your money very quickly. To avoid this, withdraw your money from all online casinos you`re not going to play at in the near future. Put your money into just one casino account. It will facilitate both control over your money and the process of withdrawal. To put it briefly, beware of new casinos you know nothing about. Even if you are getting bored at your current casino, don`t make hasty decisions. Think if a new casino can really offer you something interesting and if it`s really worth your attention.